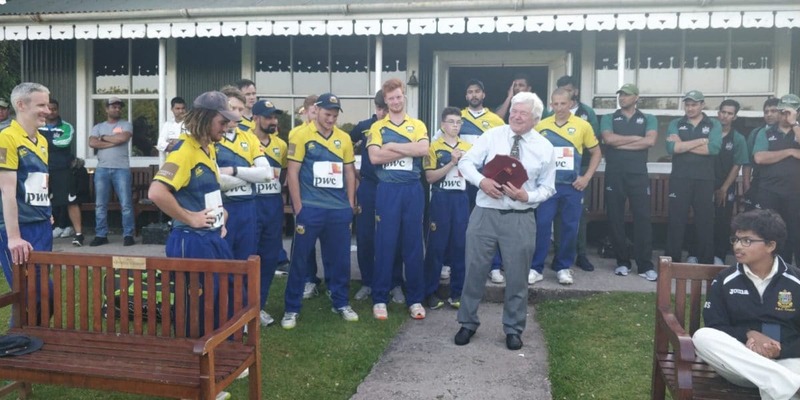 Cork County Cricket Club offer their sympathies to the Short family following the passing of Philip Short, brother of former player & Irish international Jack and son of Frank who was Club President in 1976. 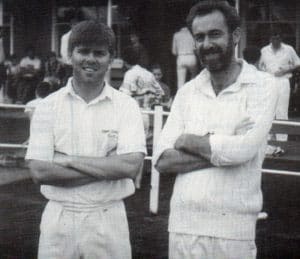 His brother Jack Short, pictured (right) alongside Peter Dineen, first gained representative honours for Munster Schools, and also, from an early age playing for Bohemians and Cork County. 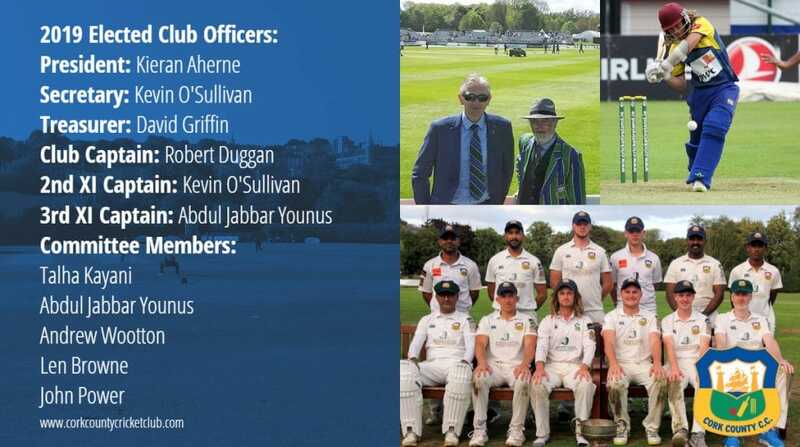 He later went on to play 11 First Class fixtures for Ireland between 1974 and 1984 and was inducted into the Cricket Ireland Hall of Fame in 2014. 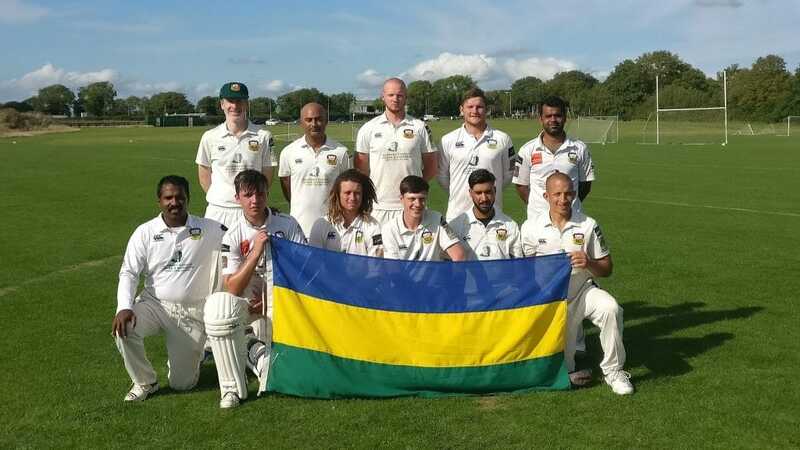 Cork County clinched their 6th consecutive All Rounder Cricket Premier Division title with a game still to play following victory over Limerick at Adare on Saturday. The Mardyke men knew that avoiding defeat against Limerick would mean they could not be caught at the top of the Premier Division table with the final game of the season still to play. A dominant display with the ball in batsmen friendly conditions on the Adare artificial saw Cork County restrict the home side to just 120. 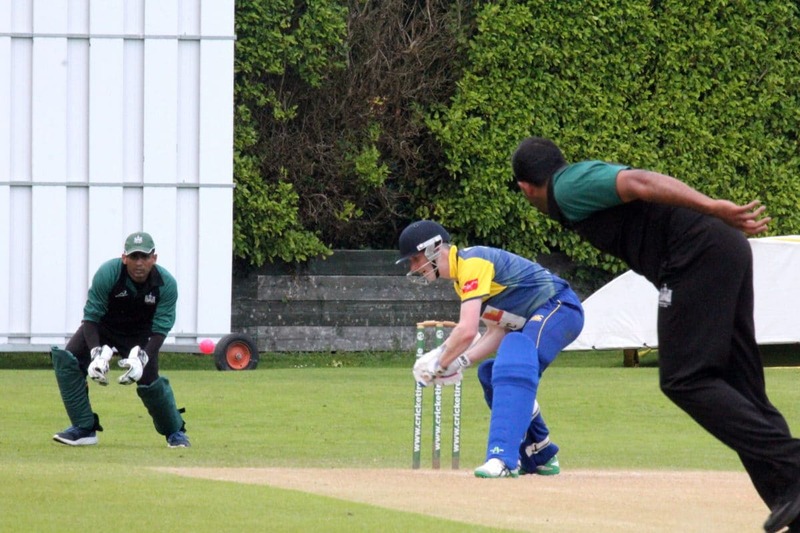 The pick of the bowlers were Abubakar Saddique (3-7), Joseph George (3-11) and Munster Reds skipper Jeremy Benton (3-25). 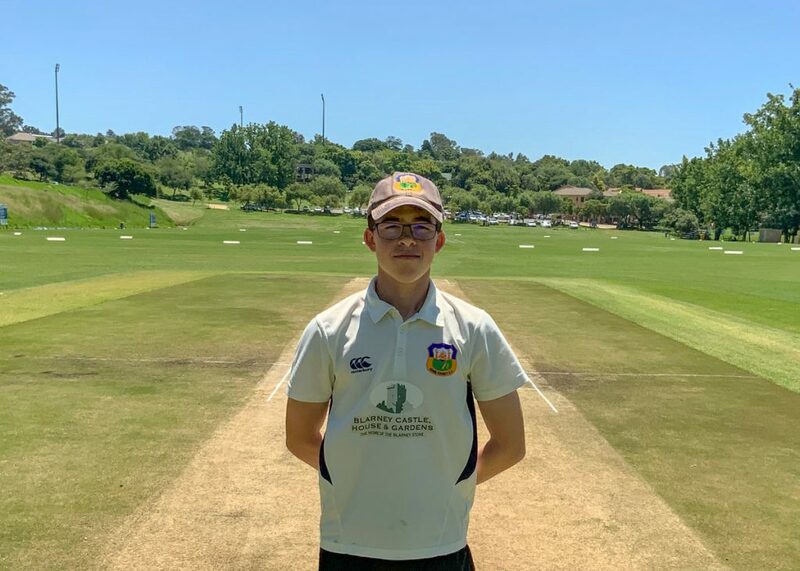 The reply go off to a shaky start with the loss of 3 early wickets but an excellent partnership between Saddique (43*) and opener Harry Broadhurst (35*) saw the visitors home with 6 wickets to spare. 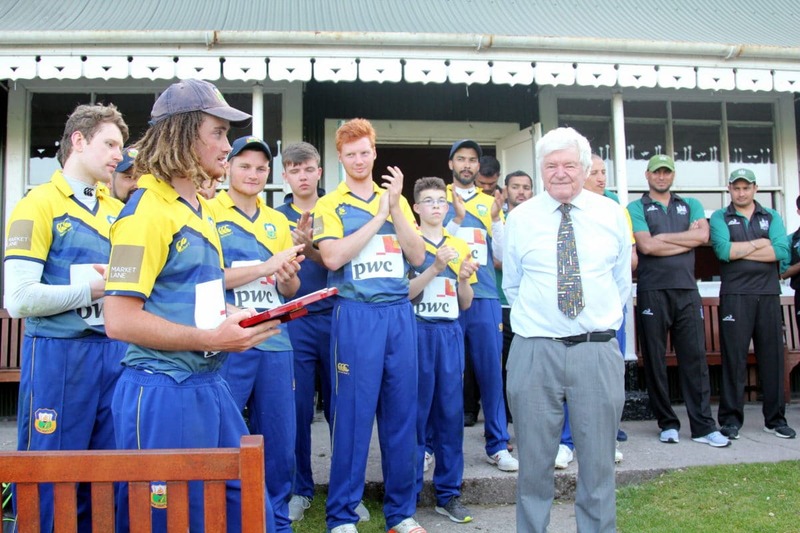 The skipper Cormac Hassett was clearly delighted to have clinched the title with a game still to play following an impressive season in which they lost just one fixture to date. Limerick 120 all out (Saddique 3-7, Jose 3-11, Benton 3-25) lost to Cork County 123-4 (Saddique 43, Broadhurst 35) by 6 wickets. 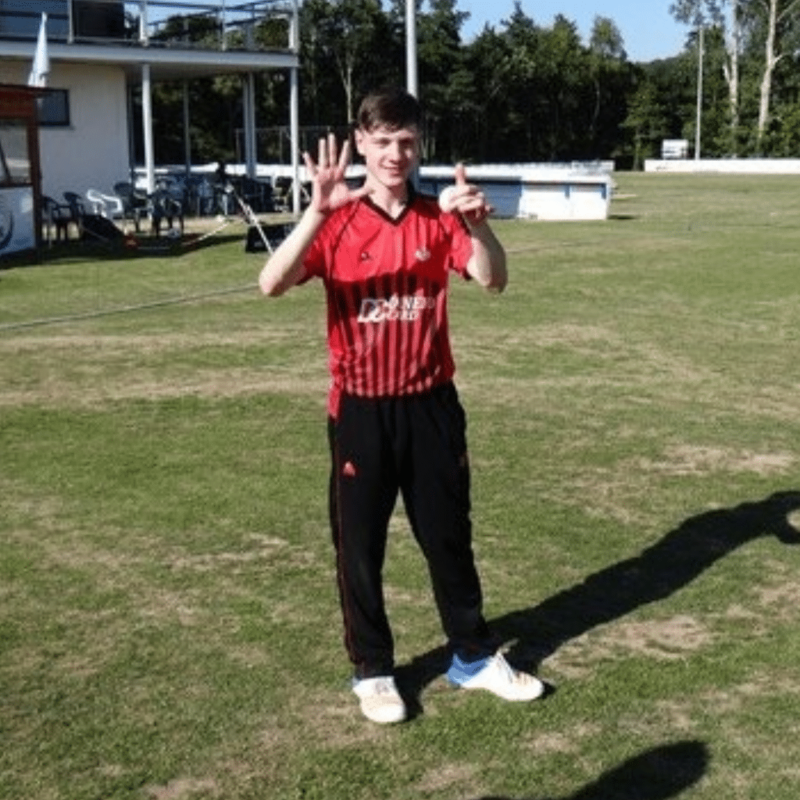 Diarmuid Carey’s 43 with the bat and 6-31 with the ball, combined with excellent knocks of 69 (Seanan Jones) and 59 (Stephen Black) helped the Southern XI to a commanding 50 run victory over the NCU in CIYMS on the first day of the 2018 U17 inter-provincial tournament. 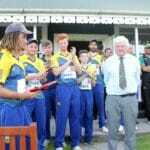 This propelled the Southern XI to the top of standings in this year’s tournament following a victory over Leinster 3 weeks ago. Like all inter-pros, the first day began with an early morning start. However, unlike other years, the sun was shining and the weather is set fair for the entire week. 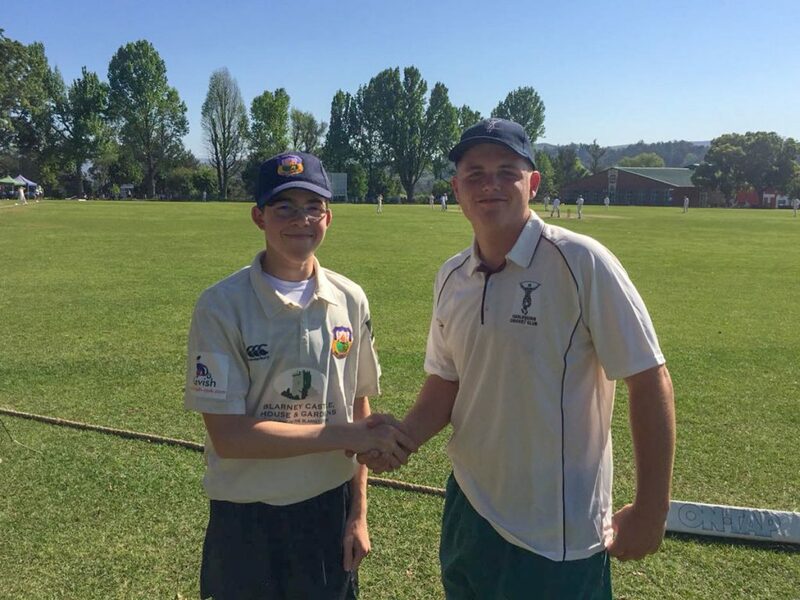 After a victory over Leinster three weeks ago, the Southern XI should have been feeling confident but in their way today was a strong NCU side who had also won their first game (vs NWCU) and whose team had won the corresponding fixture in the U-15’s competition two years ago. The first thing evident upon arriving at the ground this morning was the sight of a used wicket and a rock hard, rapid outfield. With the sun also out in force, it would be a long toil in the field for whoever had to bowl first. The wicket was clearly going to deteriorate for the second innings, making the toss crucial. Jones called correctly and his delight was evident as he shouted “we’ll have a bat” and ran off gleefully to his team. The Southern XI had the advantage but the pressure was now on to make use of the good batting conditions at their disposal. After a quick start, the Southern XI were 16-2 after 3 overs, with Allison accounting for McDonough and Archer early on. From that point, however, the Southern XI dominated. The NCU bowlers were consistently off with their lengths which Black (59, 9 fours) & Jones (69, 8 fours & 1 six) picked off with ease. Black drove well, bisecting mid-off and cover with high frequency. Jones accumulated singles and used his strength to put away the bad ball, highlighted by a big six over the mid-wicket boundary. Neither the seamers nor the spinners could gain any control and as both players brought up their fifties, it seemed as if nothing would unsettle them. Then at 122-2, Black missed a sweep off Malone and was bowled. Suddenly the NCU had an opening they could try and exploit. However, what followed was almost the complete opposite. 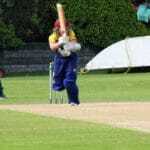 Carey (43, 4 fours & 1 six) joined Jones and the two Corkmen proceeded to take the game to the NCU. Their partnership of 55 came at a run a ball and was highlighted by two lovely reverse swept 4s by Jones, and a couple of extra cover driven 4s by Carey, followed by a 6 for Carey over cow. 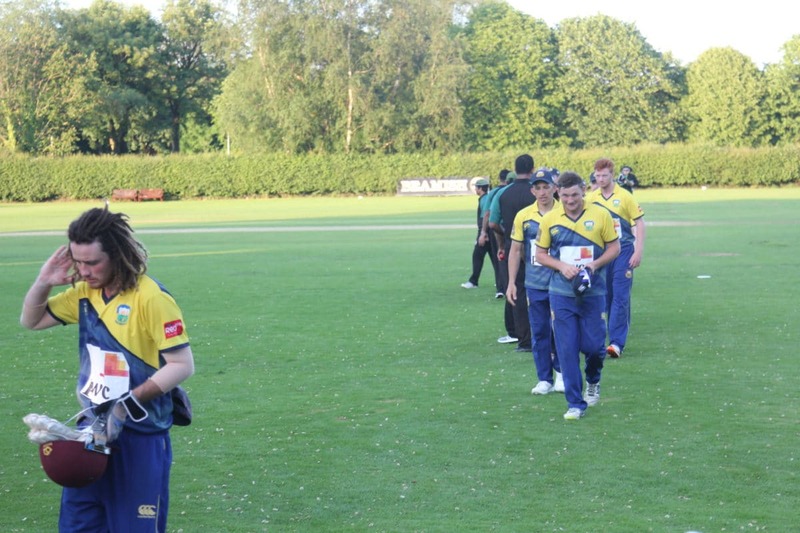 After 34 overs, the Southern XI were 175-3 with a score of 300 on the cards if the Munster lads kept going. The break seemed to rejuvenate the bowlers and there was a marked improvement in their line and length. A couple of overs later, Jones walked past a ball from Glass and was stumped. Soon after Carey was bowled by Simmonite. From then on, the innings faltered a little and the boundaries became harder to come by. Askew hit a quick-fire 27 (2 fours & 1 six), while some good running and poor fielding helped the Southern XI finish with a highly competitive 259 all out. Allison was the pick of the bowlers with 4-43 off his 9 overs. 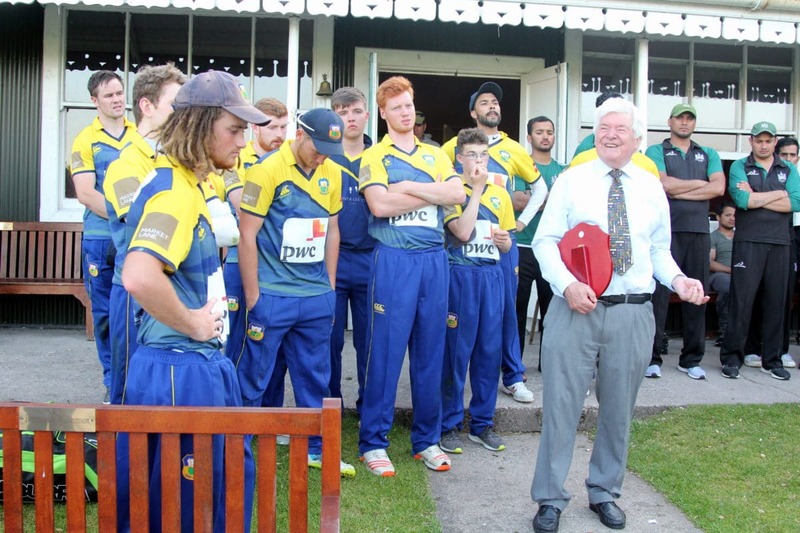 It was a good comeback by the NCU, who would have fancied themselves as a batting team to begin with. However, with runs on the board, the scoreboard pressure and deteriorating wicket would surely give the Southern XI a good chance. The NCU seemed to quell some of the Southern XI’s hope with their opening stand. Jones and MacNulty bowled solidly, but Warke (29, 5 fours) & Metcalf (33, 5 fours) set the NCU off at a good pace. Their opening stand of 69 in 15 overs was highlighted by exquisite drives to the cover fence. 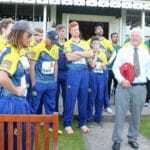 They showed that the wicket was still a good track and the Southern XI struggled to pile on pressure. Captain Jones opted to turn to spin. McDonnell (1-29) was tight from the outset, bowling with flight and providing good control. Carey was the more aggressive of the pair, pitching the ball quite full which was greeted with a meaty shot over extra cover for four in his first over. However, both bowlers were extracting variable bounce and spin from the pitch and Carey’s second over produced a double wicket maiden. Metcalf pulled a shorter ball into the hands of deep mid-wicket and then two balls later, Warke was beaten in flight and skied a catch straight to mid-on. McDonnell then had Clarke flick a ball to the man at short mid-wicket and next over Malone hit Carey straight to the man at deep mid-wicket. 69-0 had suddenly become 76-4. 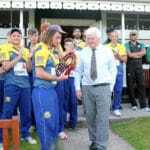 Burton and Hunter then started to rebuild for the NCU. They put on 40 with ease as Jones rotated his spinners looking for a break through. 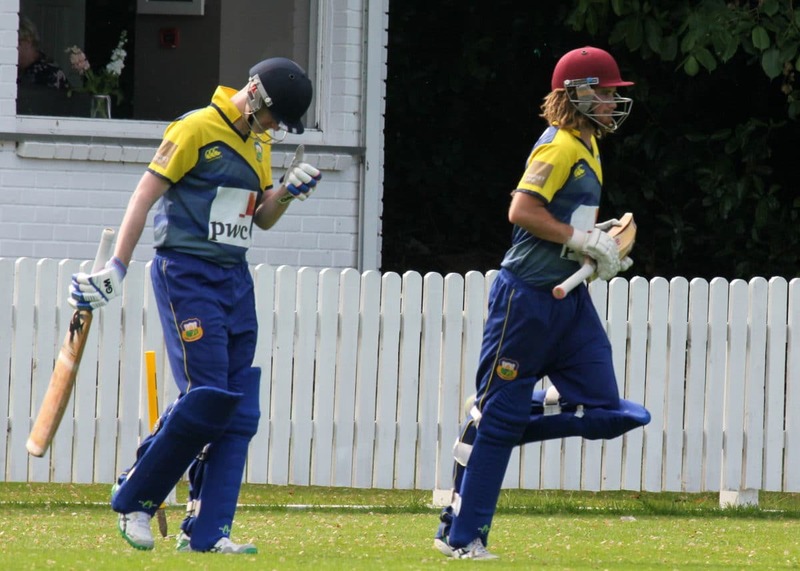 Just as the NCU looked set to dominate, however, a mix-up led to both batsman ending up at the same end and Burton was run out for 25. Jones brought Carey back on and his first over accounted for Reid. 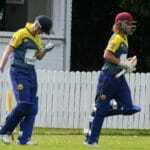 Once again the NCU were in trouble at 118-6. 139 more runs were still required from the final 18 overs. Hunter (68, 9 fours) and Glass started to chip away at the deficit as the Southern XI brought back in the seamers. On this variable bouncing pitch, this provided a relief from the spinners and the batsmen very quickly settled and started finding the boundary. Some poor fielding and well-timed shots brought the game back into the balance. With 10 overs to go, the NCU required just 81, with two well settled batsmen at the crease and a quick outfield at their disposal. Carey, with two overs left, was brought back for his third spell. 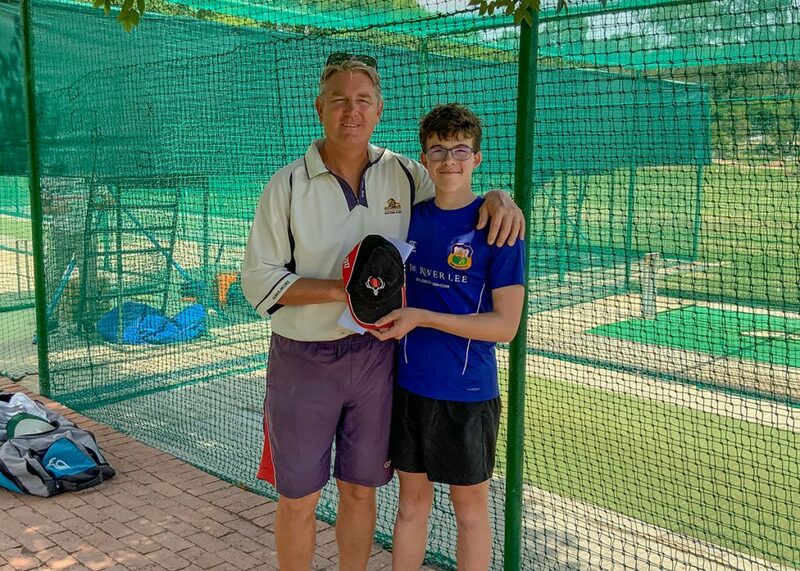 Once again, he struck early as he spun one past Glass’s advancing feet to have him stumped and complete his five wicket haul. 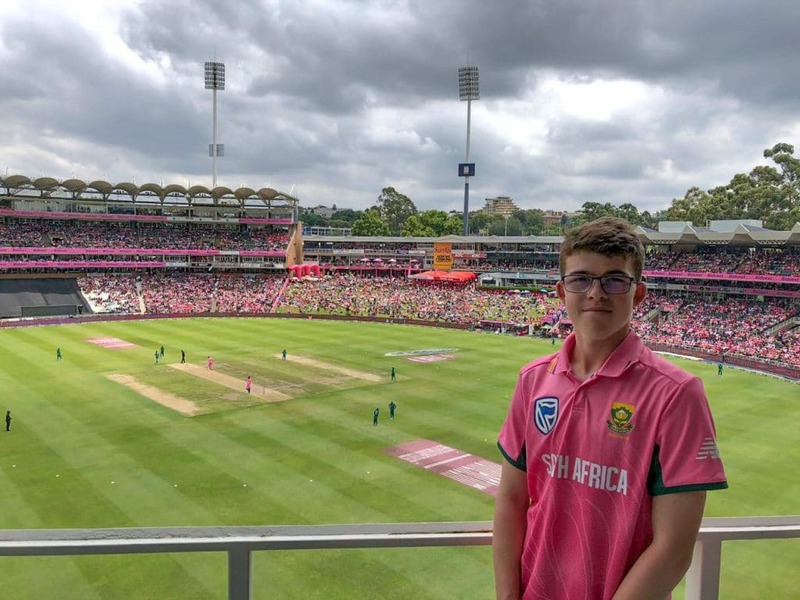 In his next over he tossed one up to Hunter who could only find the safe hands of long-off completing his excellent bowling display with 10-2-31-6. MacNulty (1-37) and Jones (1-47) then put the game beyond doubt with an excellent display of the death bowling. 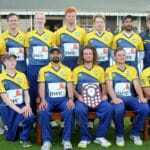 Their yorkers were almost unhittable and they each took a wicket at the death to finally bowl the NCU out for 209, a victory by 50 runs. After two matches it leaves the Southern XI on top of the standings with 2 wins, ahead of Leinster & NCU with 1 win each. 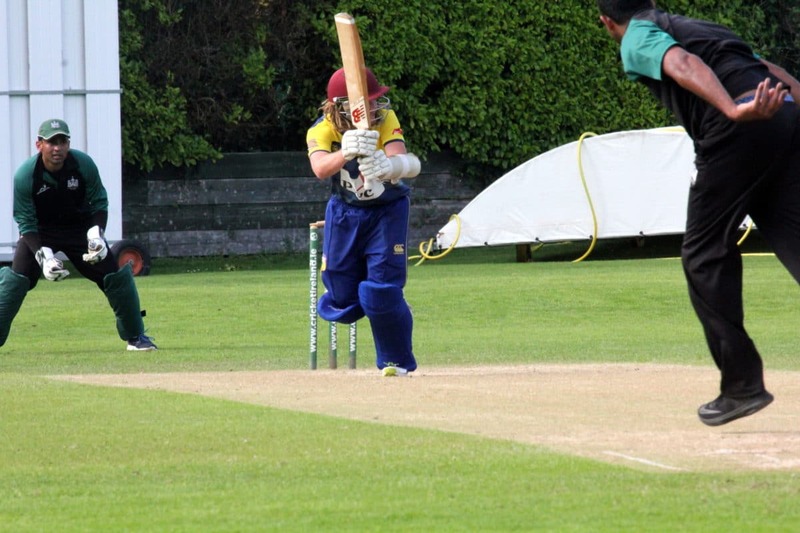 The final 50 over game is tomorrow against the NWCU before the T20s commence on Thursday. 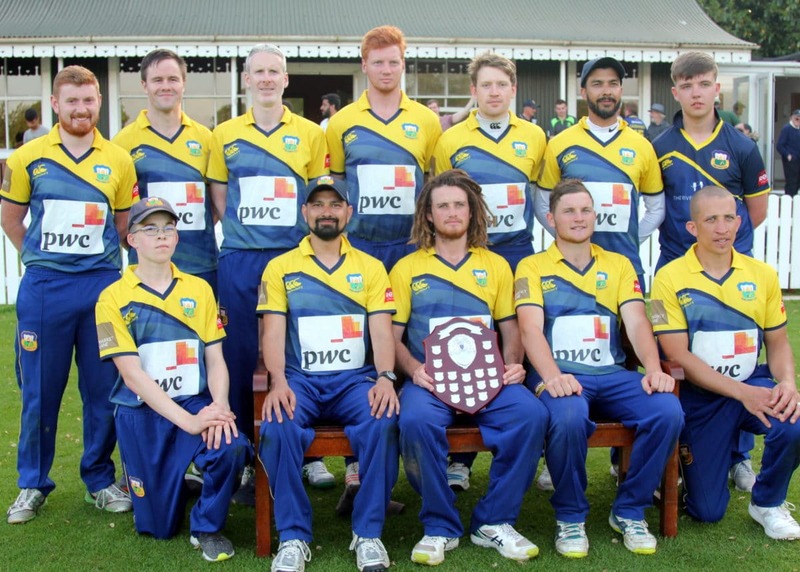 It was a great all-round team performance by the Southern XI, exemplified by the runs from Jones, Black & Carey and the wickets spread amongst nearly all the bowlers. 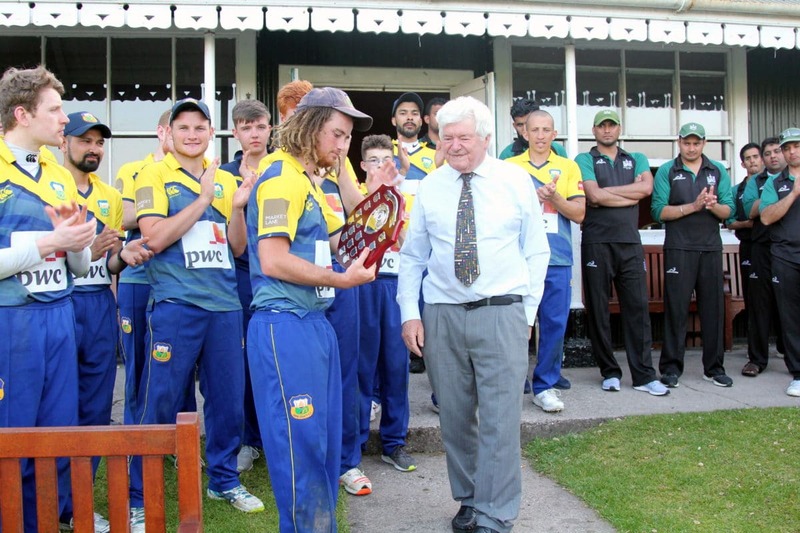 A special mention must also be made about the superb catching display throughout their bowling effort. But in the end, the day belonged to Carey whose 6-31 was the highlight of a great win. 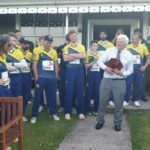 The ashes of Noel Cantwell, one of Cork and Ireland’s greatest sportsmen, are to be scattered on a cricket pitch at the Mardyke close to where he was born. On Friday, 13th April 2018, Noel Cantwell’s daughters will bring his ashes to the Cork County Cricket Club grounds on the Mardyke, where his all-round sporting prowess first started to shine. Cantwell batted for his country seven times and went on to play international soccer, winning 36 international caps and scoring 14 goals with the Republic of Ireland. He also played rugby, but is probably best known for captaining Manchester United. 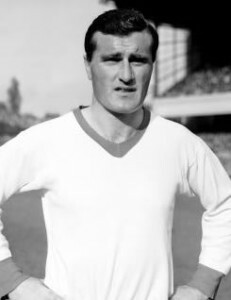 Cantwell also played with West Ham United and joined Manchester United in 1960, making 121 league appearances with them; winning two league titles and an FA Cup winner’s medals. Noel Cantwell died in 2005, aged 73, and his ashes were kept by his wife, Maggie, at their home in England. She died just before Christmas and their daughters, Kate and Liz, requested that his ashes be scattered at the Cork County Cricket Club. Although his opportunities on the cricket field were restricted by his soccer commitments, Noel, and his brothers, Frank and Gerry, were one of a number of families who grew up in the late 1940s and 1950s in and around the Mardyke area and who became leading lights in Cork cricket focused on the Mardyke. Others from this era included Jim and Tom Kiernan, Pat Dineen, Jim Fitzgerald, Con Odlum, Danny Duggan, Noel and Dermot Giltinan and Billy Bradley to name but a few. The three Cantwell brothers played their club cricket with Cork Bohemians, played with Cork County in friendlies against Dublin, Northern Irish and English opposition and all three played for Munster in Interprovincial matches in this period. Cork Bohemians were probably the dominant club side in Cork and Munster (pictured below) in this period winning the Senior League on six occasions in the 1950s. Frank also played in the South v North fixture in 1952 which was effectively an Irish final trial but only Noel would go on to play international cricket for Ireland. 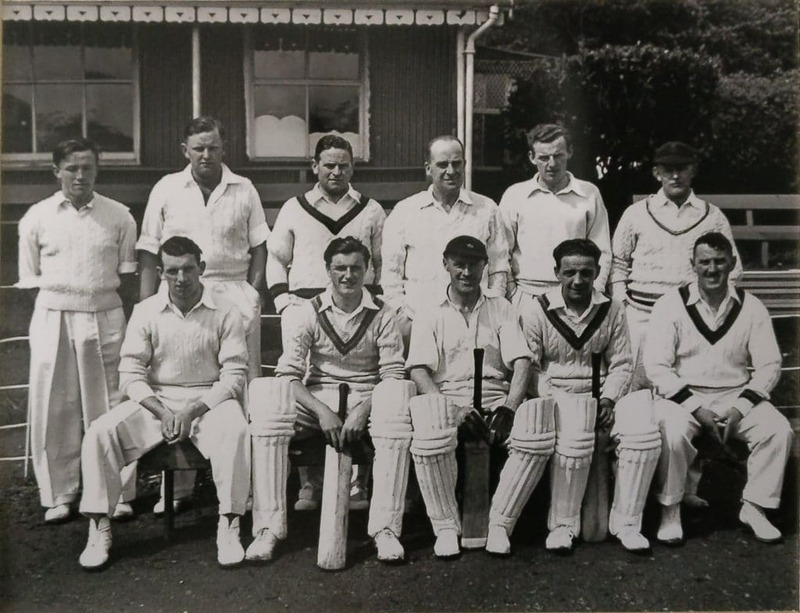 Noel is pictured below with the Munster Cricket side at the Mardyke on 25th May 1951. Noel Cantwell was a left handed bat and a right arm medium paced bowler. Contemporary accounts describe him as being a fluent stroke maker and a brilliant fielder. While Noel himself downplayed his ability as a bowler, he is noted as “having the habit of taking wickets at club level when most needed”. Noel Cantwell played five times for Ireland in the period 1956 to 1959. 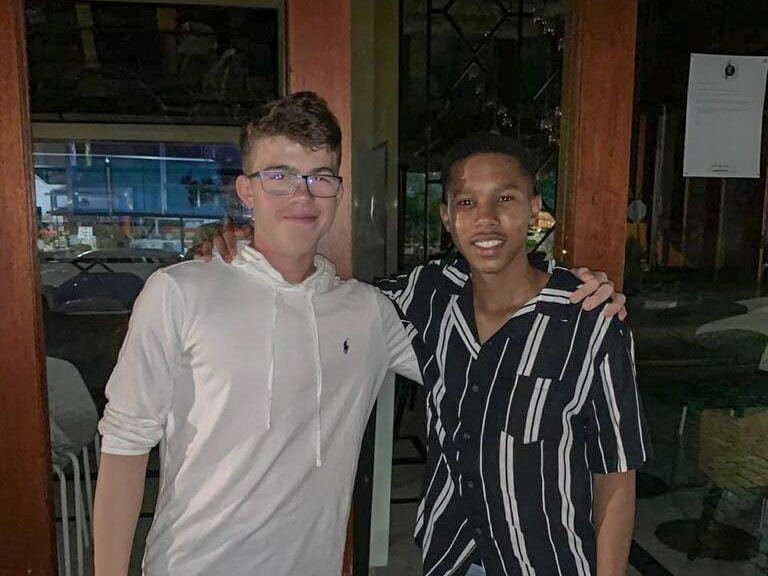 Of the relatively few matches played by Ireland in that period (generally three or four matches per year), quite a few were played in late August or September when his soccer commitments would have ruled him out of contention for selection. In 2015, a laneway was named after the sporting legend near the Mardyke. The ceremony was attended by Roy Keane, FAI chief executive John Delaney, and rugby legends Tom Kiernan and Barry McCann. Councillor Mick Finn said after the ceremony that he spoke with Cantwell’s daughters, who expressed the wish to bring his ashes to Cork. They decided to follow through with the idea after their mother died. 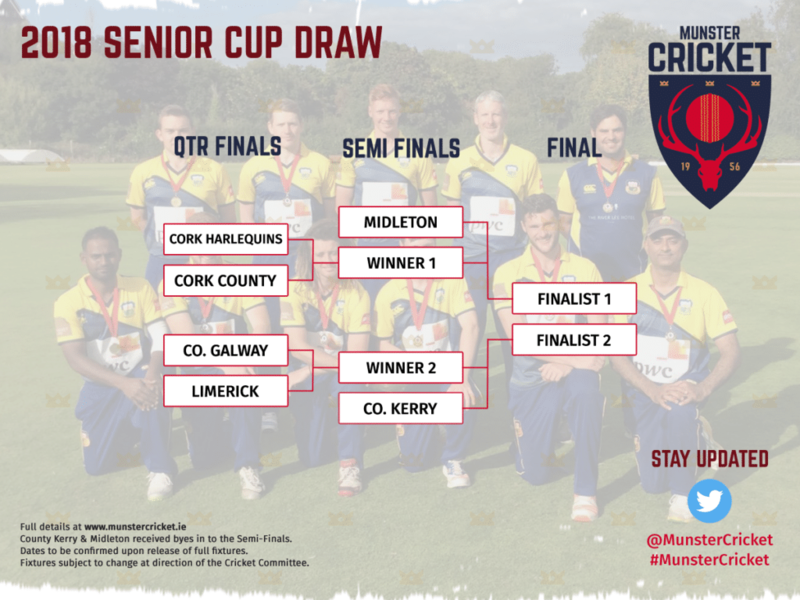 Senior Cup holders Cork County make the short trip to Farmers Cross to take on local rivals Cork Harlequins in the Quarter Final with Midleton awaiting the winners in the Semi-Final. The other Quarter Final sees 2017 finalists Limerick making the trip up the M18 to face Galway at Lydican with the winners setting up a home tie against County Kerry in the Semi Final. 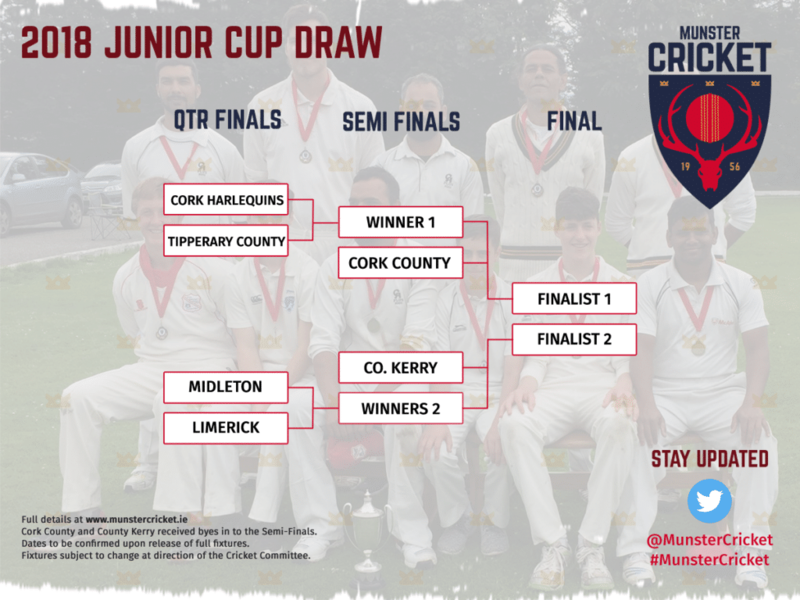 Junior Cup holders Cork Harlequins open their defence with a home Quarter Final against Tipperary County with the winners facing Cork County in the Semi-Final. 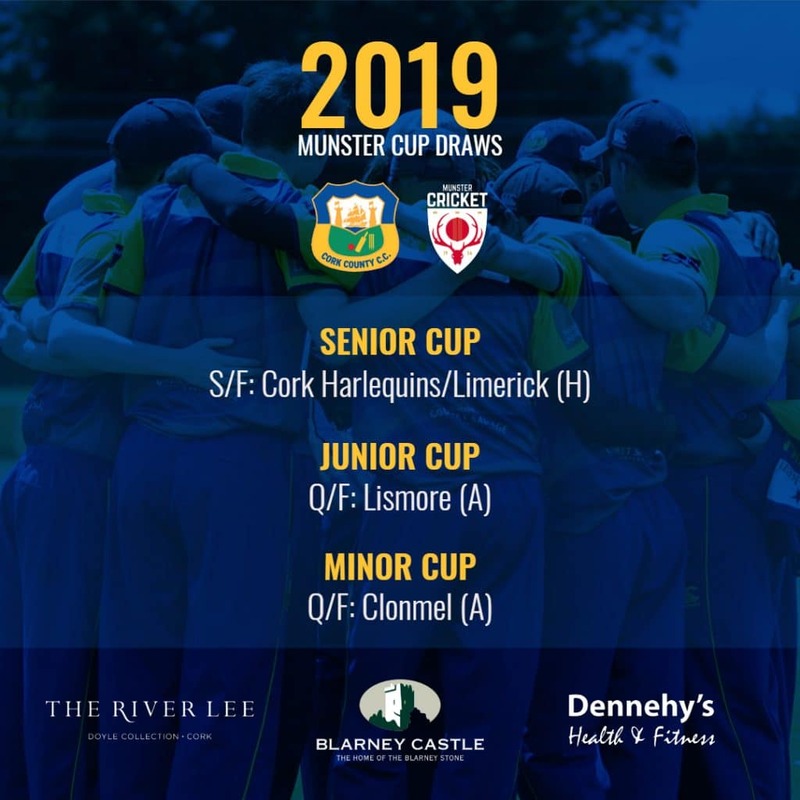 Limerick make the trip to East Cork in the other Quarter Final to take on Midleton with a trip to the Oyster Oval awaiting in the Semi-Final. 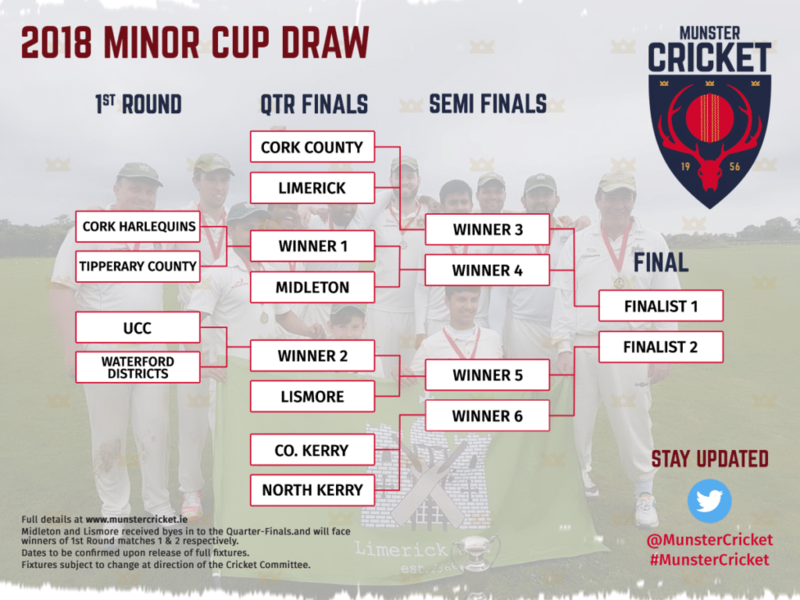 Minor Cup holders Limerick face a tricky trip to the Mardyke in the Quarter Finals to take on Cork County with the winners facing the victors of Midleton and Winner 1 (Cork Harlequins v Tipperary County). The other half of the draw sees a derby in The Kingdom when County Kerry take on North Kerry while Lismore await the winners of UCC and Waterford Districts.